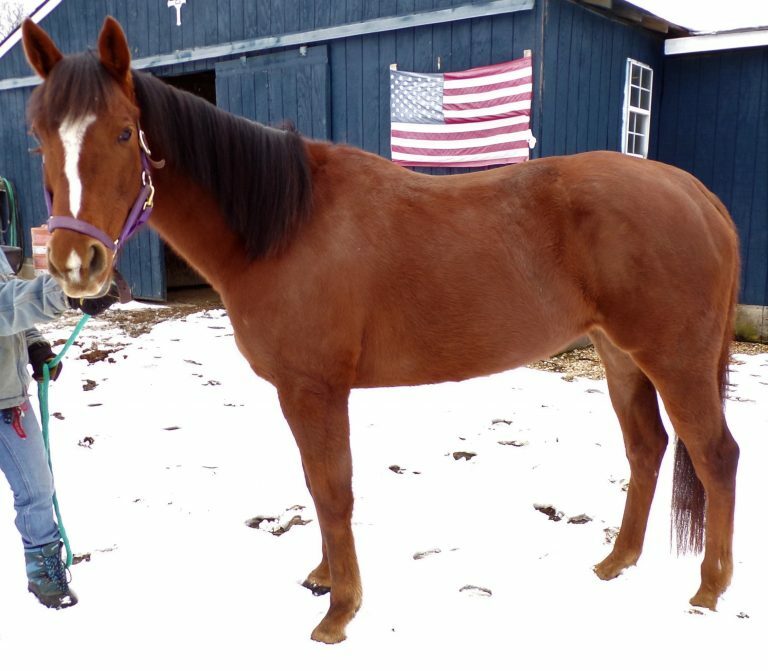 Cowasee Girl, nicknamed Citabria, is a cute 2010, 15.3h, registered Thoroughbred mare. Last raced in 2014, she earned $27,260 during her career before being retired due to a chipped knee. The chip was not surgically removed, but her owner says she has not been lame in the last two years that she has had her. Citabria came from an Animal Control situation in 2016, after which her current owner took her in. In the past two years, she has been worked extensively in the round pen using natural horsemanship methods. After she gets her initial wahoos out of her system, she joins up well. She stands quietly to be mounted from the ground and, after a bit of prancing upon first getting on, settles well. She is still green and will need a more experienced rider to give her more miles and confidence under saddle. Citabria would benefit from a regular work schedule. She’s a smart girl and would thrive with a job. 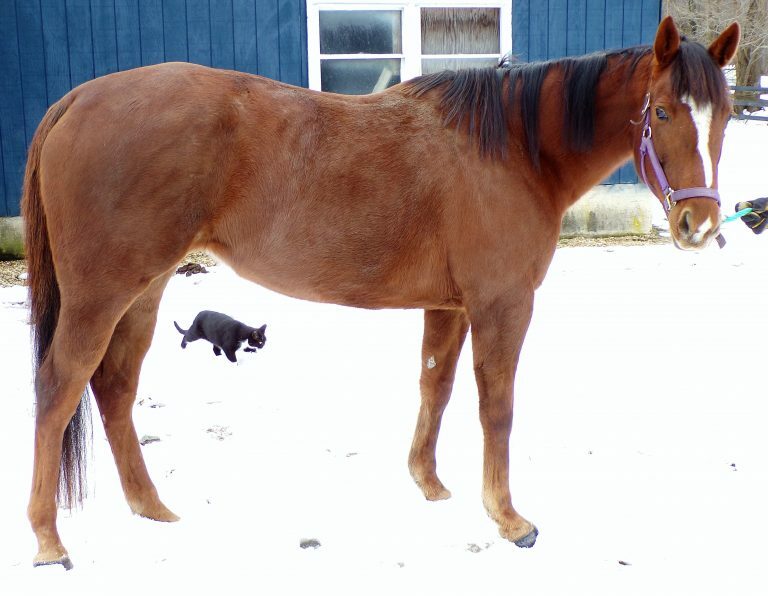 Citabria would make an excellent dressage, pleasure, or trail horse with more training. 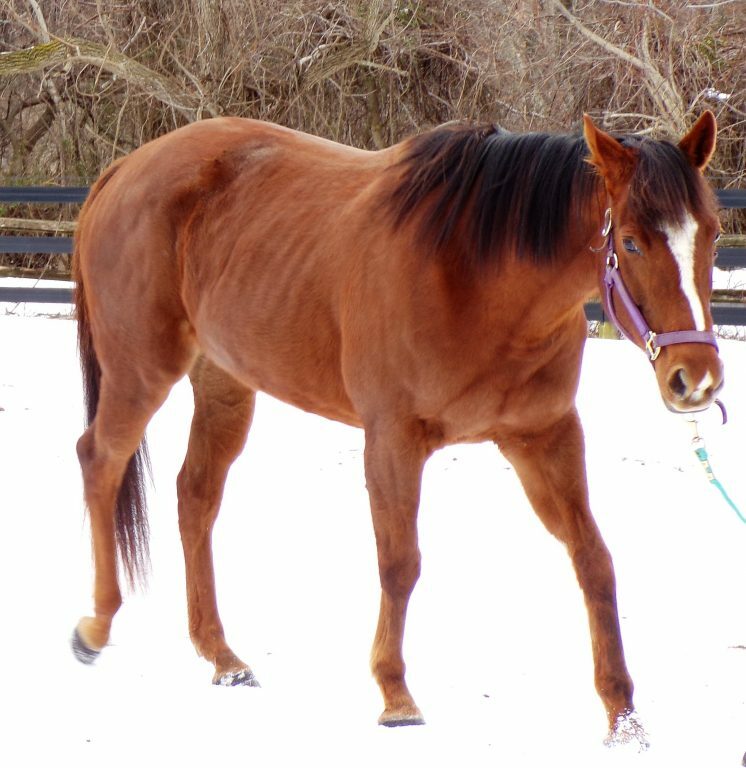 Citabria is barefoot, good with geldings, stands for the vet and farrier, cross-ties, bathes, and is good in stalls (although she’s currently managed on 24/7 turnout). 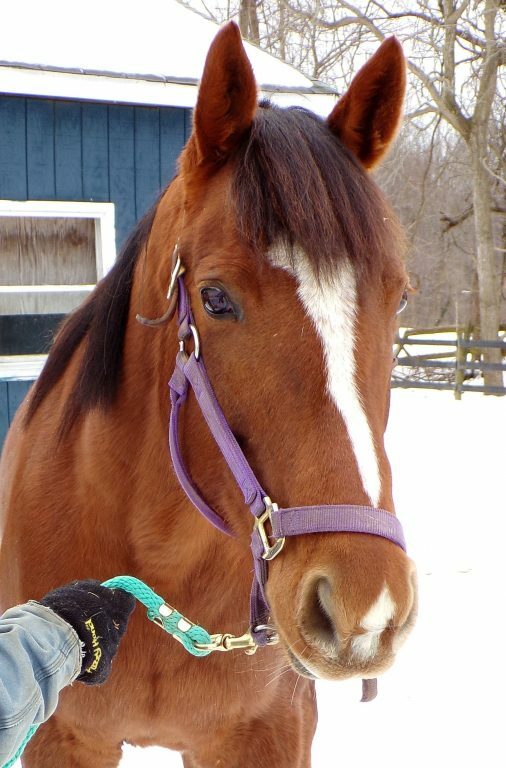 She is UTD on farrier, deworming, and shots, has a negative Coggins and will be updated on dental prior to placement. She also comes with blankets, a saddle, and bridle.